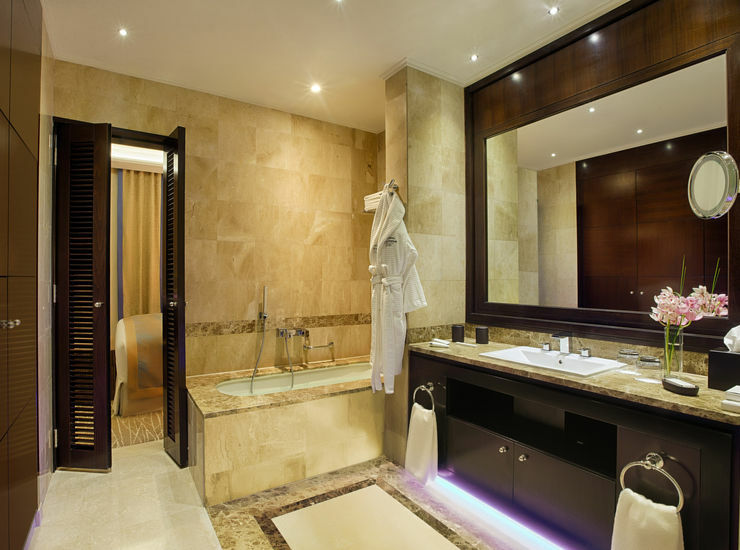 Indulging the confidence and precise use of geometric shapes with authentic royal experience, GROHE, the leading bathroom fittings manufacturer is adorning the deluxe rooms of Royal Maxim Palace Kempinski in New Cairo. 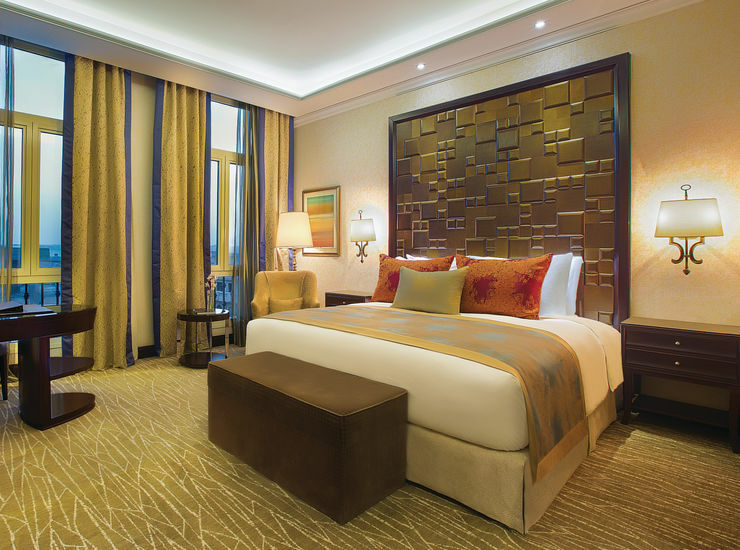 Perfectly located in the heart of the city's new business and commercial district, Royal Maxim Palace Kempinski offers luxury accommodations in the center of New Cairo. Offering a feast of color, art, music and treatments, the palace pays homage to ‘Resense’ Spa, the first European world-class spa in Egypt. 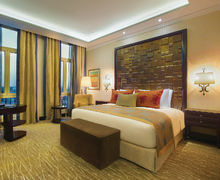 It also offers its guests a fully equipped fitness centre for ultimate rejuvenation. 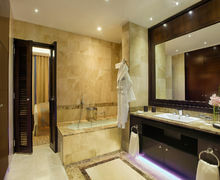 Kempinski’s signature rooms are fitted with award winning collections from GROHE using the most innovative designs and technologies while creating an authentic mix between cubic, linear and gem designs. With its gem-like quality and structured shape, the Allure Brilliant exudes architectural appeal, while the Allure Brilliant collection delivers a pristine sensual experience with its pared-down lines and open rectangular spout. The Eurocube collection, offers cutting-edge, geometric styling that perfectly aligns with modern cubic design trends. 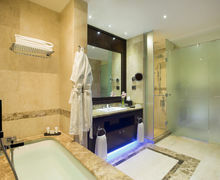 The luxurious royal experience is perfected with GROHE’s first-class installation system the Rapid SL, offering superior functions and features along with the high-end Infrared Flush Valves uniting innovation with sophistication, captivating the majestic feel of Kempinski bathrooms. 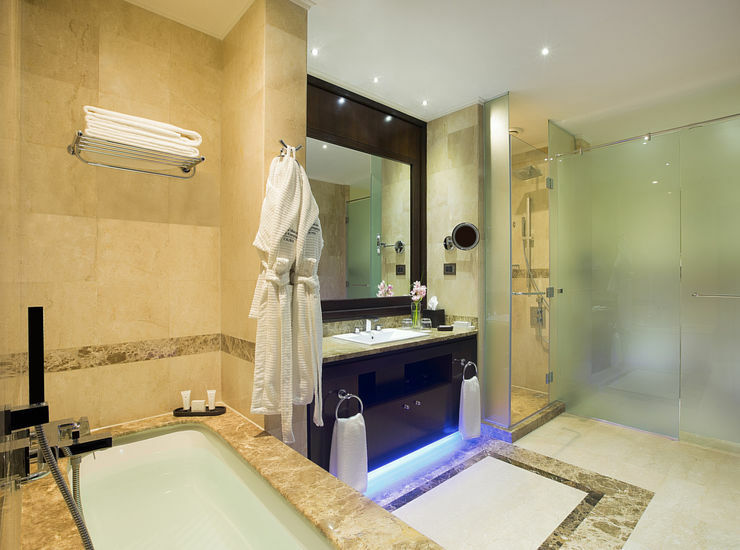 GROHE is also cooperating with other multinational hotels by displaying GROHE Eurosmart range in 1200 bathrooms at Marriott zone among other hotels such as Hilton, Helnan, Accor and Movenpick. GROHE is the world’s leading provider of sanitary fittings. With its global GROHE brand, the company has relied on its brand values of technology, quality, design and sustainability for decades to deliver “Pure Freude an Wasser”. GROHE has a global workforce of around 6,000 people. There are about 2,400 employees working in Germany. GROHE runs three production plants in Germany as well as several plants in other markets. In 2014, the company generated consolidated sales of approx. €1.2 billion with its comprehensive product portfolio for bathroom and kitchen. Some 85 percent of its sales are currently generated outside Germany. GROHE was taken over by the LIXIL Group and the Development Bank of Japan in January 2014.